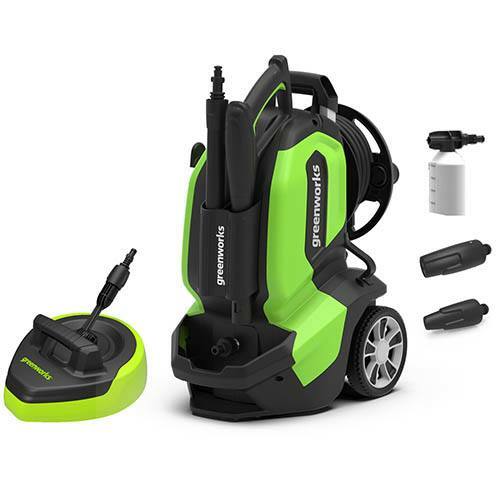 This pressure washer from Greenworks has a compact design with onboard hose reel and telescopic handle for convenient usage and storage. It benefits from an aluminium pump head with stainless steel pistons for longer pump life. Foam and rotary nozzles aid the removal of stubborn dirt. The machine has and anti-drill, quick release coupling on the spray gun.